My Grandma loved to bake and make candy. Hmmm, wonder where I get it from? When she passed away, my mom brought me all her candy molds. I don't know that I realized that she had molds; all I ever saw was the finished product. Pink and green bunnies in my Easter basket. White chocolate snowmen for my birthday. Peanut butter cups and chocolate covered cherries at Christmas time. My sister and I broke them out, then hit Michael's to get some candy melts. 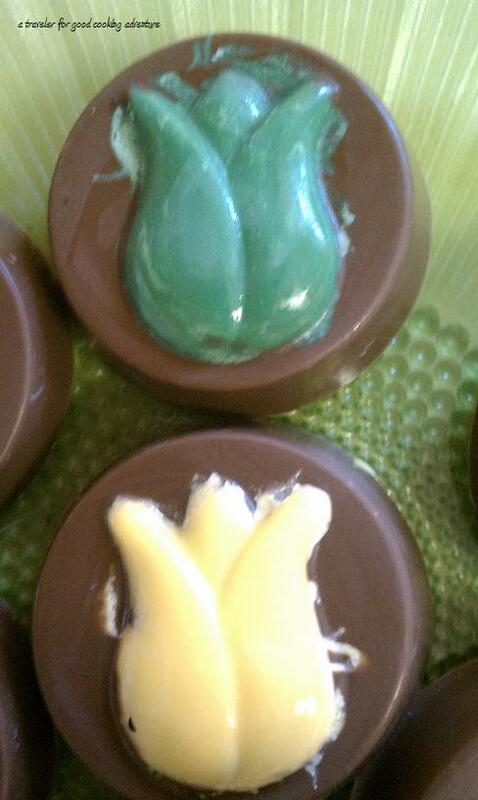 While we were there, we saw these molds to make chocolate covered oreos (above). Candy molds make it very easy to make a professional looking product while being a complete amateur (the picture shows our fist effort...they got better with each round). ﻿ Needless to say, everyone who tried a bunny pop, chocolate egg or oreo was very happy.